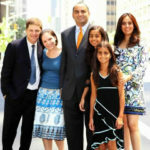 Mohnish Pabrai has come a long way from being estranged from Indian stocks to saying that he “loves” Indian stocks. “I don’t invest in India because there are too many regulatory hurdles,” Mohnish has once said in a gruff tone. “I had stayed away from India as most of the companies tend to be family owned and lots of them have governance issues and hence we didn’t prefer to invest in family controlled businesses,” he added later. @rrajiv33 Correct reason he should say is that "he made a mistake"- why random excuses. No doubt, Samir Arora has the stature to pull up visionaries like Mohnish Pabrai. Upon reading Samir Arora’s reprimands, Mohnish immediately realized his folly. He rushed to Dalal Street and launched an aggressive and no-holds barred buying action. Today, the situation is such that Mohnish cannot stop singing the praises of Indian stocks. “I love what we own in India. We’ll make a lot of hay from our Indian holdings in the years ahead …. 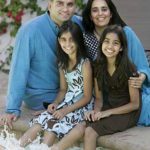 We also have the highest exposure we’ve ever had to companies based in India (over $100 million or over 18 percent of the pie),” Mohnish has gushed in his latest newsletter to the distinguished investors of Pabrai Funds. It is obvious that Mohnish’s peers who invest in the developed markets of USA and Europe can never even dream of such gains. This has made Mohnish the cynosure of all eyes and inspired him to take to poetry. Mohnish bhai rocking idhar bhi aur udhar bhi. 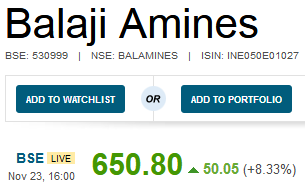 Rocking portfolio Rain, Kolte, Oriental, Balaji Amines, Suntek any new addition Sirjee? Amir honee ke liye toh eikh ya doh naam kafee hain. Aapke paas toh paanch paanch naam hain @balwantnirmal ! Safar mein dhoop toh hogee. Joh chal sakoo toh chalo. A careful dissection of Mohnish’s couplet reveals that there are hidden messages in it. (i) The first is that there is no need to scout for random stocks. Instead, focus on a couple of stocks is all that is required to achieve success in investment. This theory is explained in detail by Mohnish in his treatise “The Dhandho Investor”. 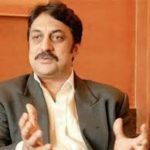 (ii) The second is an affirmation by Mohnish that all the five (should be six) stocks in the portfolio are powerhouses that will make investors rich. It is worth recalling that Mohnish has categorically recommended three of the six stocks to us with the assurance that they will deliver hefty gains. 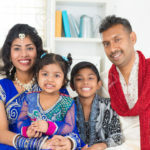 “My bet would be they would be materially higher a year from now than they are today,” Mohnish said on being prompted by the charming Tanvir Gill to give us a Diwali Gift. 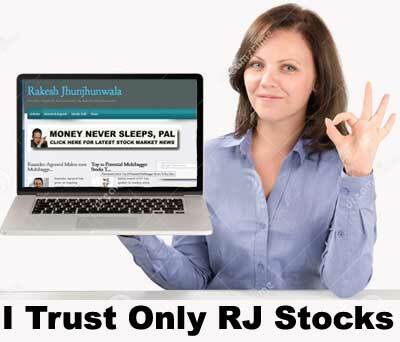 It is also notable that Rain Industries, which is a high-conviction stock pick of Mohnish Pabrai and Dolly Khanna, has been recommended by Motilal Oswal as having the potential to shower gains of about 100%. Balaji Amines is also a powerhouse which has received a clean chit from Porinju Veliyath, Ashish Chugh and Shyam Sekhar. Edelweiss and GEPL have recommended a buy of Balaji Amines on the assurance that it is at “inexpensive valuations” and is a “compelling buy”. In fact, such was the euphoria for Balaji Amines that alarm bells were triggered off in the BSE HQ and they demanded an explanation from the management. While the management was tongue tied, Navin Shetty, the Sr. Equity Analyst with CNBC TV18, provided a cogent explanation as to why the stock is surging like a rocket. (iii) The third is a rap by Mohnish to the knuckles of those novice investors who get their knickers in a twist whenever there is a slight correction in the market. “Safar mein dhoop toh hogee. Joh chal sakoo toh chalo,” is Mohnish’s delicate way of saying that there will be turbulence and corrections in the stock market and investors must learn to tolerate them. Shankar Sharma said the same thing though in a rough manner. Shankar is quite rough with novices. He lacks the tact and diplomacy talents of Mohnish. 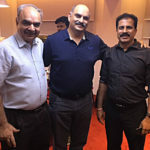 Of course, it is arguable that Shankar Sharma’s rough-neck methods are more effective with dimwitted novices as compared to the gentleness of Mohnish Pabrai. (iv) The fourth stanza in Mohnish’s couplet, namely, “Yahi hai jindagi, kuchh khwaab chnd ummiden Inhi khilaunon se tum bhi bahal sako to chalo” also has a subtle message to it though I haven’t been able to figure it out so far!